A study by the National Institutes of Health found in their most recent survey for the time period of 1999-2004 that 92% of adults between the ages of 20 and 64 have had at least one cavity. This means that odds are you will experience a cavity at some point in your adult life and will thus need to get a dental filling. What follows is key information you need to know about dental fillings in order to make an informed decision. Dental fillings may also be referred to as dental restorations. Fillings consist of a filling material that is placed in a dental cavity to protect the tooth from further damage and decay and to restore dental function. Some cavities cause pain but some do not. In the case of painful cavities the dental filling will also alleviate the pain. Cavities are often referred to as dental caries in dental and scientific literature. Dental caries are bacterial infections which cause a demineralization of tooth enamel, thereby resulting in a structural cavity and giving rise to the popular term cavity. In simplest terms fillings literally fill the cavities caused by caries. There are two major categories of dental fillings: direct restorations and indirect restorations. Direct restorations are fillings that are placed directly into the cavity and harden in the mouth. Thus, direct restorations are typically completed in a single office visit. Indirect restorations are fillings that are created outside of the patient’s mouth based on dental impressions. The filling is then also hardened outside of the patient’s mouth and cemented into place at a later visit. Indirect restorations typically take at least two appointments to complete, one to take the impressions and a subsequent one to place the filling. In today’s age of modern dentistry patients are fortunate to have a number of choices available when it comes to selecting the material used for their dental fillings. There are pros and cons to each type of material, which we’ll discuss below. 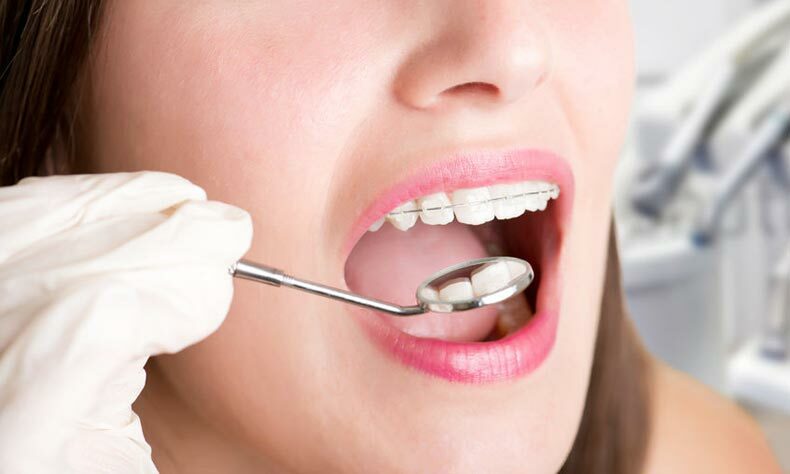 When selecting the most suitable material for your situation it is important to consider factors such as cost, durability, length of time the procedure will take, your overall health, allergies, the location of the filling, and any recommendations from your dentist. A dental amalgam is an amalgamation (mixture) of two or more types of metal. Mercury is always a component metal and usually comprises between 43% and 53% of the total mixture. Other metals used typically consist of one or more of the following: silver, tin, and copper. Dental amalgams will appear silver in color. They are the oldest type of dental filling and have been in use for over 150 years. Amalgams are extremely durable and stand up well to high biting force. They are usually the least expensive material for dental fillings. Amalgams are long-lasting and require fewer replacements than most other filling types. Amalgams are the most well-researched material type and have been used for generations. They are effective at protecting the tooth from further decay. Amalgams are not a natural tooth color and as such some patients do not like the way they look. They contain mercury, and though they are considered safe they have been the subject of safety debates. Amalgams require some portion of healthy tooth to be removed in order to be properly fitted. Since amalgams contain mercury their waste is bad for the environment if it isn’t properly captured and disposed of. Dentist who use amalgams are usually very diligent about disposal. Composite resins are a mixture of acrylic resins and tiny, powdered glass-like particles. They are usually self hardening but may also be hardened under a special blue light. They are tooth colored and typically look very realistic. Their color can be customized to best match existing teeth in shade and tone. Their natural, tooth-colored appearance is usually very desirable aesthetically. Composites are relatively durable and good at withstanding moderate pressure. They are relatively long lasting and don’t have to be replaced that often. Composites offer moderate protection to the tooth against further decay and new decay is easy to spot if it does occur. Composites are more expensive than amalgams. They do not withstand heavy pressure as well as amalgams and thus break more easily. Composites are more time consuming to place than most other direct restoration types. Composites may not be suitable in all instances. Glass ionomers are mixtures that consist of acrylic acids and glass powders. Due to their relative fragility they are primarily used for small fillings that are not subject to chewing pressure. Glass ionomers are also used in the application of dental crowns to cement the crown. Glass ionomers are tooth colored. They have a natural-looking appearance that resembles real teeth. Glass ionomer mixtures may have fluoride added to them to prevent additional tooth decay. They do not require significant portions of healthy tooth to be removed to place them. They aren’t very resistant to pressure and are only suitable for non-bite surfaces. They are more expensive than amalgams and are comparable to composites. Glass ionomers may become rough with age and become vulnerable to plaque buildup. Glass ionomers can be easily dislodged. Resin ionomers are similar to glass ionomers in that they are formed from acrylic acids and glass powders. However, they also consist of acrylic resins with lend them somewhat more strength and durability than glass ionomers. Resin ionomers are more durable than glass ionomers and thus may be used for short-term fillings in chewing surfaces. Such a short-term filling may be for a patient’s primary (baby) teeth. They are tooth colored and thus valued for their natural appearance. In fact they are more translucent and realistic looking than glass ionomers. Resin ionomers may also feature fluoride to help fight further decay. Resin ionomers require little of the healthy part of the tooth to be removed. Despite having somewhat more durability than glass ionomers they are still not suitable for biting surfaces on permanent teeth. They are more expensive than amalgams. Resin ionomers wear out more quickly than amalgams and composites. Gold alloys are metal alloys that consist of gold and one or more other metals, often copper. This results in a gold-colored filling that is very strong, durable, and resistant to tarnishing and discoloration. Unlike metal amalgams, composite resins, glass ionomers, and resin ionomers, gold alloy fillings are an indirect restoration type. This means that they will take at least two dental visits to be placed, one to take impressions and one to fit them. Gold alloys are extremely strong and durable, holding up well to high force. Gold alloys are long lasting, and do not require frequent replacement. They are resistant to tarnishing, corrosion, and discoloration. They do not require much of the healthy structure of the tooth to be removed in order to be fitted. They provide good protection to the tooth from further decay and they resist leaking. Gold alloys are more expensive than all previously discussed filling materials. They are an indirect restoration type and thus require multiple visits to be placed. Porcelain ceramics have a number of dental applications including as a material in dental fillings. They may also be used in dental crowns, inlays, onlays, or for porcelain veneers. They are tooth colored with great translucency and they look very realistic, thus making them popular for many cosmetic dental procedures. Porcelain fillings mimic the appearance of real enamel. They provide excellent protection against further decay. Porcelain fillings aren’t likely to leak. Porcelain fillings are rivaled only by gold alloy fillings with regard to their expensiveness. Porcelain fillings may crack under high force and are not always suitable for molars. They are an indirect restoration method and thus require multiple dental visits to be fitted. When choosing a dental filling it is important to discuss things carefully with your dentist. Your dentist will be able to make recommendations based on your tooth decay, medical history, sensitivity to allergens, financial and time constraints, and other conditions unique to your situation. Your dentist will also be able to advise you on what to expect both during the procedure and after the filling is in place. At Weaver-Jaynes DDS we are always happy and eager to discuss our patients’ oral health and to answer any questions our patients may have about dental fillings.